Keeley Tillotson started Wild Friends out of her dorm room with her co-founder and roommate, Erika Welsh. Seven years later, their women-run company distributes their unique, healthy nut butters nationally. On a mission to “make food friendly” for their customers, suppliers, and the planet, they make their products with short lists of clean ingredients, excluding palm oil, hydrogenated oils, and added sugar. Wild Friends’ giveback program donates 1% of sales to help women and girls fund their dreams. Their first non-profit partner, Girls Inc. of the Pacific Northwest, provides resources and opportunities for girls of all ages to grow up strong, smart and bold. 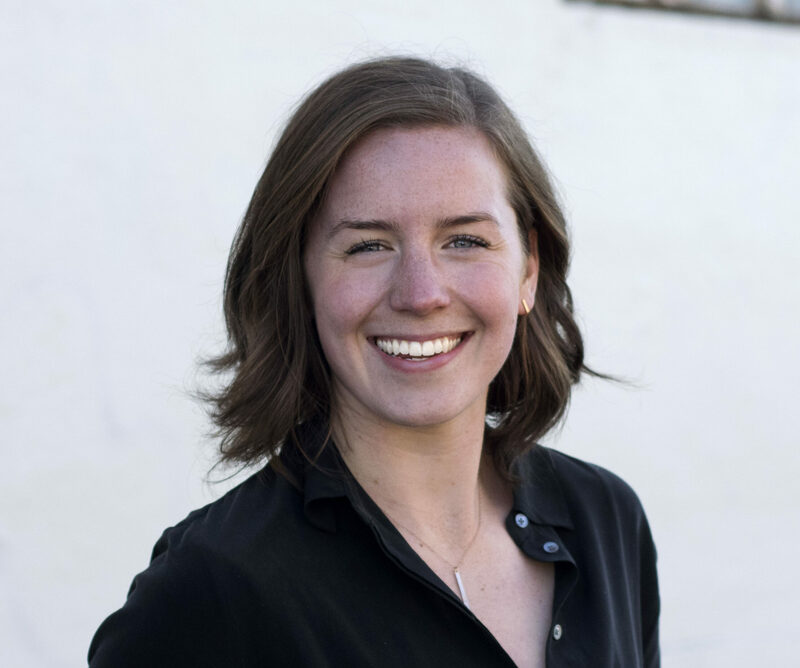 Bard MBA candidate Caitlin O’Donnell spoke with Tillotson about creating a company culture, balancing fundraising and daily operations, and what keeps her going as a young entrepreneur. The following Q&A is an edited excerpt from the Bard MBA’s March 15th The Impact Report podcast. The Impact Report brings together students and faculty in Bard’s MBA in Sustainability program with leaders in business, sustainability and social entrepreneurship. O’DONNELL: WHAT’S THE MISSION OF WILD FRIENDS? Our mission is to make food friendly. We started with peanut butter—so, taking a product that people love and taking out all the non-essentials. There’re no hydrogenated oils, no palm oil, no sugar in our plain classic creamy. We make different flavors, which is fun, and make sure they’re really innovative. We recently expanded into breakfast items. Our new “oats and nut butter” is a single serving oat cup with a nut butter pack in the lid. It delivers twice as much protein and half the sugar as plain. We’re working on more innovation and launching new items. It’s been a really fun and eventful last seven years. O’DONNELL: HOW HAS YOUR TEAM GROWN SINCE YOUR FOUNDING, AND HOW HAS YOUR CULTURE CHANGED? For the first couple of years we were very scrappy. It was Erika (Wild Friends Co-Founder Erika Welsh) and myself doing everything. All the management of manufacturing, all the marketing, all the sales. It’s only over the last three years that we’ve started hiring team members. We brought on our first team member in 2015 and now there are eleven of us. We have three people on our sales team, two marketing team members, three operations team members and a couple other folks who help us manage all the big and little details of running the business. A big realization for me was that culture isn’t just something that you can write down. You’re always building the company culture. Every person you hire is the culture. We look for people who already demonstrate elements of the culture that we want because they’re going to bring those to the company. Oftentimes, the really amazing team members we’ve brought on make the culture better or bring their own elements to the company. O’DONNELL: WHAT WAS YOUR CAPITAL RAISING STRATEGY AND HOW DO YOU BALANCE THAT WITH THE WORK OF RUNNING THE BUSINESS? Fundraising is definitely hard work. We’ve fundraised three times, and each time was different. But the strategy is the same in that it’s like dating: you just have to go on so many first dates with so many people before you find somebody who’s a good fit for both sides. I wish that someone had explained that to me when we first started fundraising. You hear stories of folks having one meeting with a dynamic funder who writes a check in the moment and slides it across the table, but that’s not very many people’s experiences. Most of us wind up doing as much networking as possible to have as many conversations as possible in order to find the maybe one or two people who will invest in you. Our tactic has been to keep our energy up. It can be challenging, because while you’re fundraising you still have to run the business. It’s really helpful to have a co-founder for that reason. I spend my time focused on fundraising, and Erika focuses on the day-to-day execution of the business. Very early on we knew where each of us wanted to focus our energy and what our strengths were. Erika’s really engaged with the external, consumer facing aspect of the company, and I’m engaged with the internal and the investors. O’DONNELL: I DISCOVERED YOUR PRODUCT VIA SOCIAL MEDIA. WHAT’S YOUR MARKETING STRATEGY? Most of our marketing budget is geared toward in-store marketing and what you as a consumer might not even think of as marketing: things like putting the product on sale, getting a display in a store, couponing, and really investing in discovery. So, how the consumer can find us for the first time. When you’re a new company that’s what you’re really focused on. O’DONNELL: WHAT ADVICE DO YOU HAVE FOR FUTURE ENTREPRENEURS? Being an entrepreneur is really hard. We left college two years in to run the business. It’s important to have a good network and a support system of friends. I’ve learned that this journey isn’t sustainable if you see it as a sprint. It’s definitely an endurance event, and you have to have a really strong network to support you.